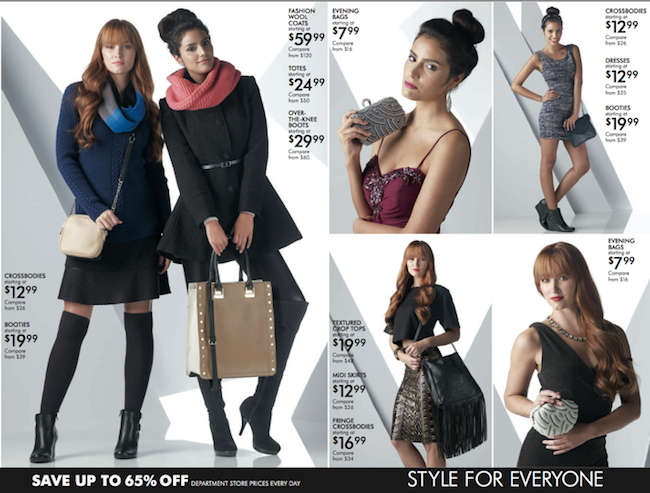 Burlington Coat Factory is where you can find great prices on kids clothing and accessories. 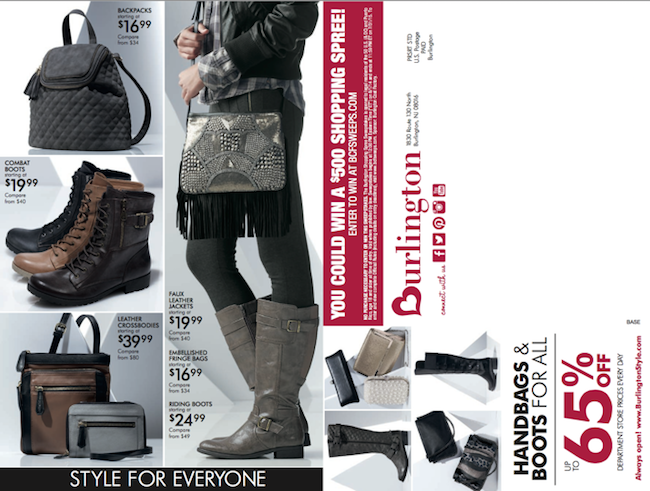 Here is the Burlington Fall ad for November 2014. 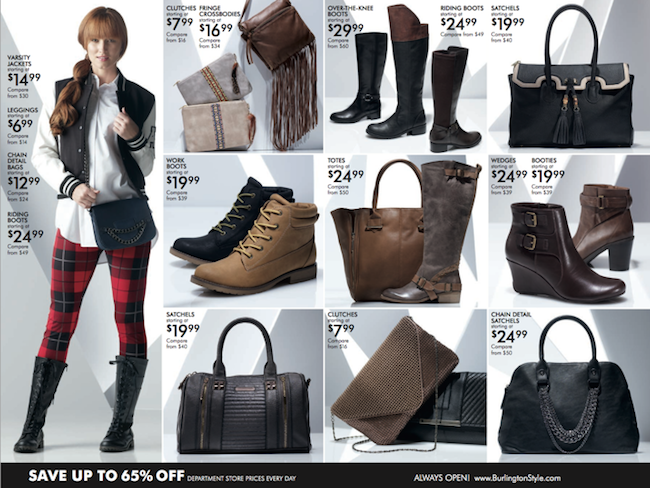 They are currently highlighting deals on handbags and boots.